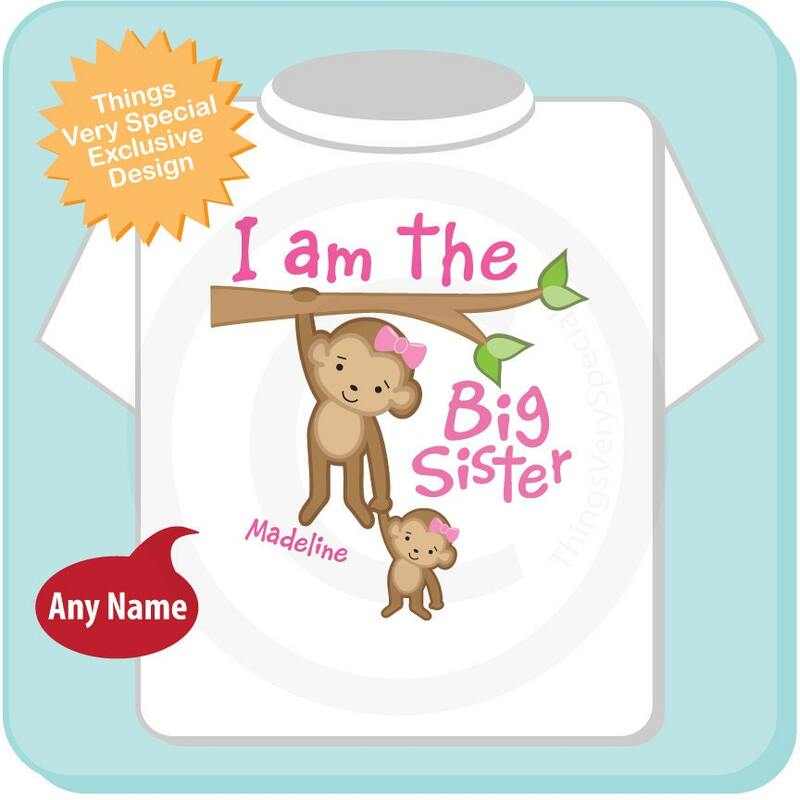 Super cute Personalized I'm the Big Sister tee shirt with awesome monkey big sister and little sister baby with her. 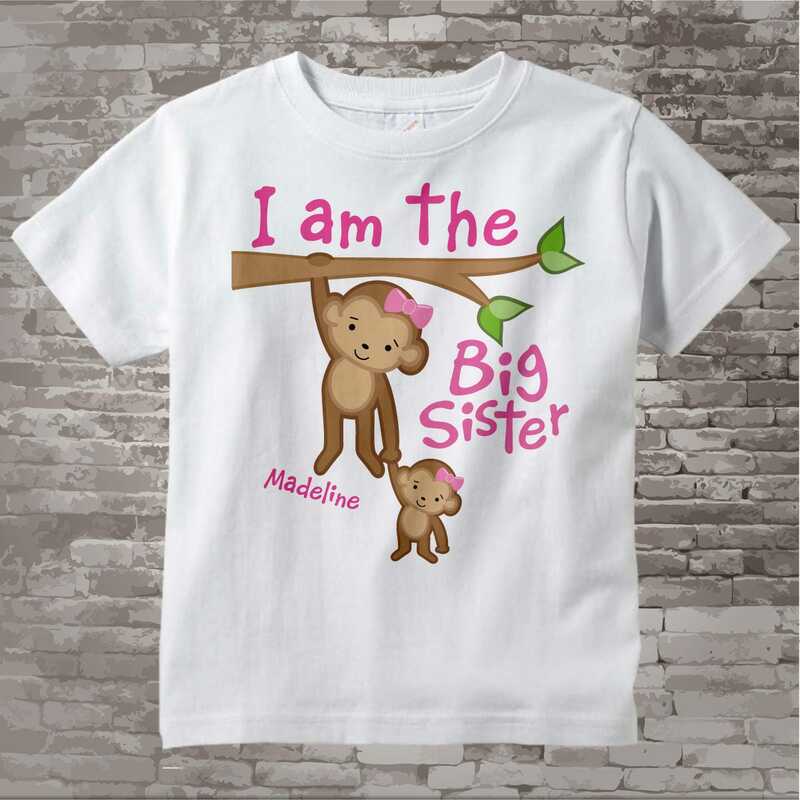 The shirt is cute, but not thrilled with the quality. 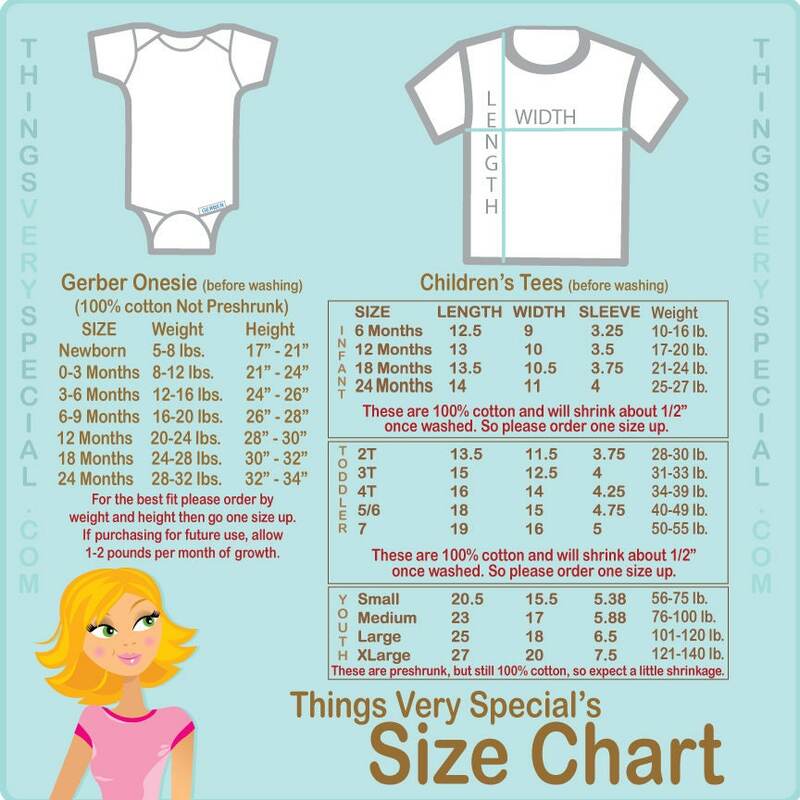 The T-shirt seems smaller than the typical size 2, and the quality of the T-shirt seems kind of cheap. I expected a little more for $20.